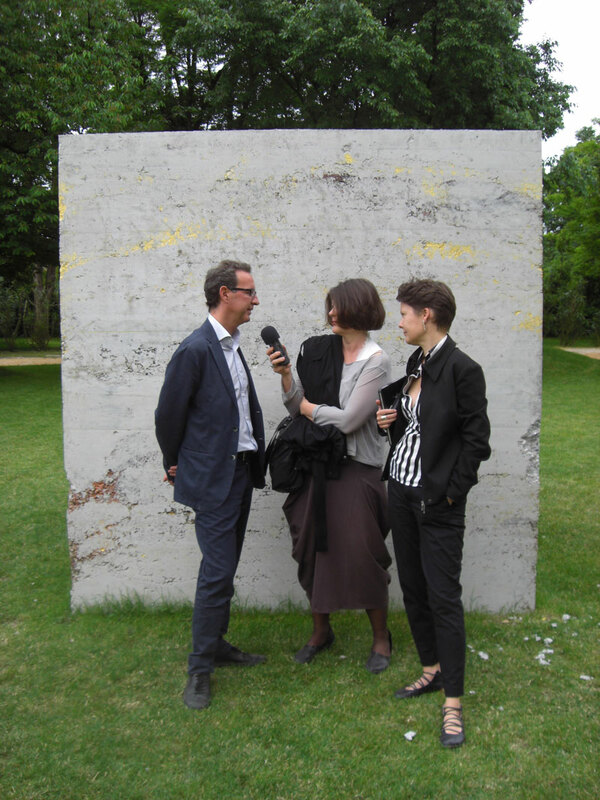 Three interviews by LaRete Art Projects curators onsite at the 2013 Venice Binnale. For a complete report on LaRete Art Projects activities for this Biennale and its partnership with the Clocktower Gallery and Radio click HERE. Bartolomeo Pietromarchi, curator of the Italian Pavilion of the 55th Art Biennial in Venice, talks about his idea to present Italian contemporary art in its wide range of geographical and generational diversity. 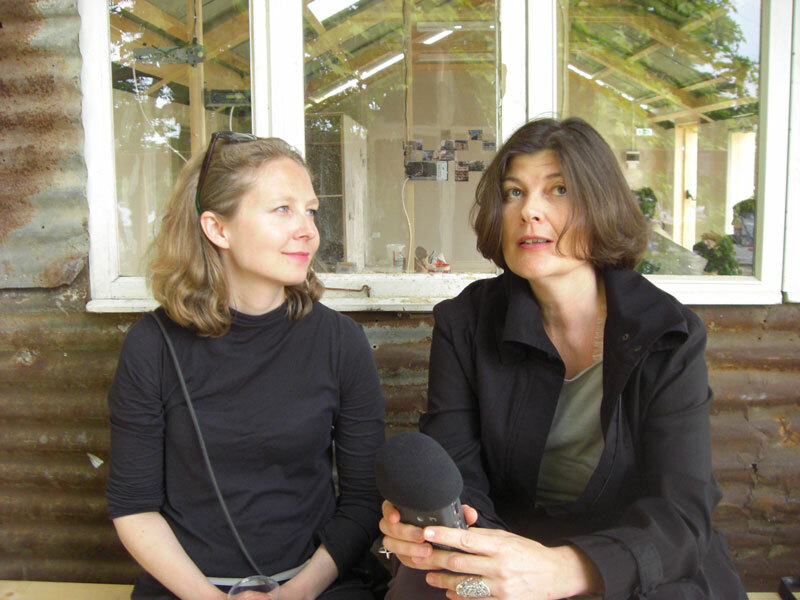 A conversation with Claudia Löffelholz and Julia Draganović of LaRete Art Project. 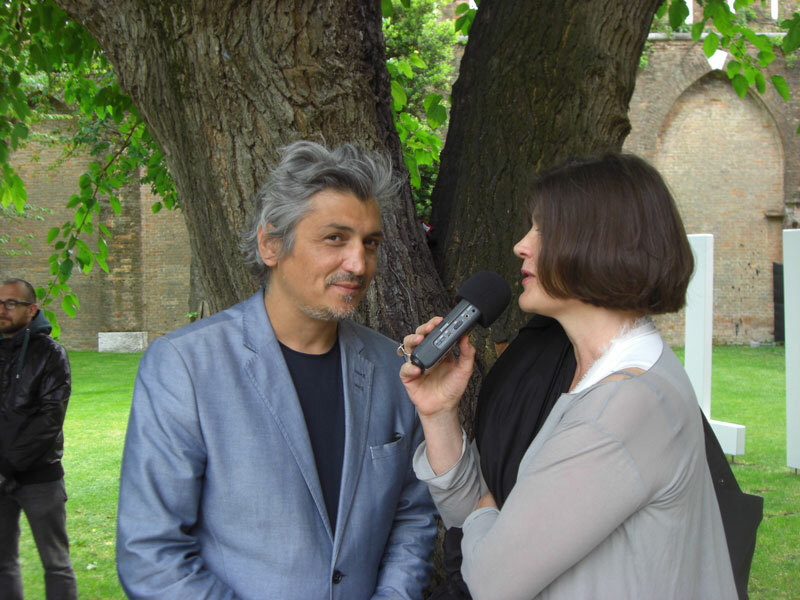 Artist Sislej Xhafa (Italian Pavilion) meets Julia Draganović of LaRete Art Projects at Venice Biennial’s Giardini delle Vergini. They talk about going back to the roots by climbing on a tree. Visitors stop by for an appointment with a hairdresser sitting on a branch who –on Xhafa’s behalf–involves his guest into intimate conversations. 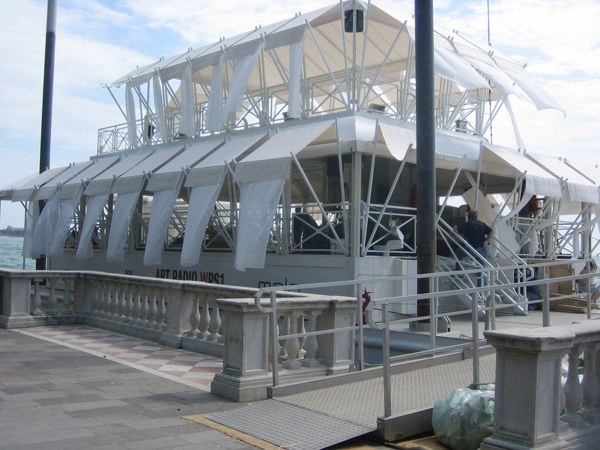 “Kamikaze Loggia” is the title of (former USSR state) Georgia’s first participation in the Venice Biennial. Julia Draganović meets Joanna Warsza in the artist-built “loggia”, where the ephemeral material of walls and ceilings is turned into amplifiers for a pirate radio station broadcasting poetry about construction workers.